Despite the affluence of the Bay Area, too many people are facing the realities of poverty. According to the joint venture Silicon Valley Institute for Regional Studies, in 2013 more than 800,000 Bay Area residents were living at or below the poverty line. That’s near the highest level ever recorded here. Poverty not only cripples those who struggle with it, it also affects our entire community. Each year, poverty costs nearly $500 billion in economic losses, healthcare and crime nationally. In addition, locally it undermines the size and quality of our potential workforce. Boys and girls from low-income families—about one out of every four children in the Bay Area—are far less likely to become productive members of the labor force. Why? A staggering number never graduate high school. In fact, on average only 9% eventually ever earn a college degree. Why become a Financial Partner? Companies and organizations, large and small, from all over the Bay Area step forward each year to support the Family Giving Tree in addressing very real needs in our community by granting wishes for joy and learning. 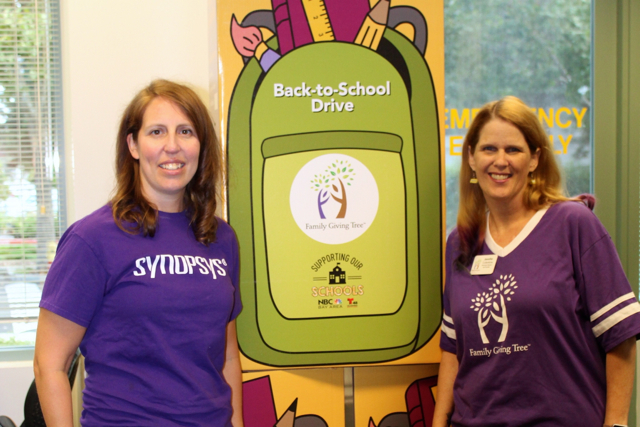 Our Partners play a key role in our efforts by providing funds that allow us to bulk-purchase backpacks and holiday wish gifts at a deep discount and support the operations of the Family Giving Tree.